Painted by Charles Wilson Peale in 1791. 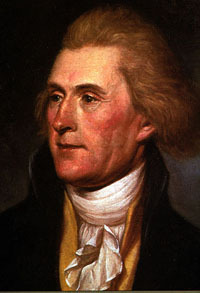 See another version on Image:Jefferson-peale.jpg. Uploaded to en: by en:User:Fahrenheit451 at April 27, 2005, with the following description.